Nova drapes the bed in snug style. 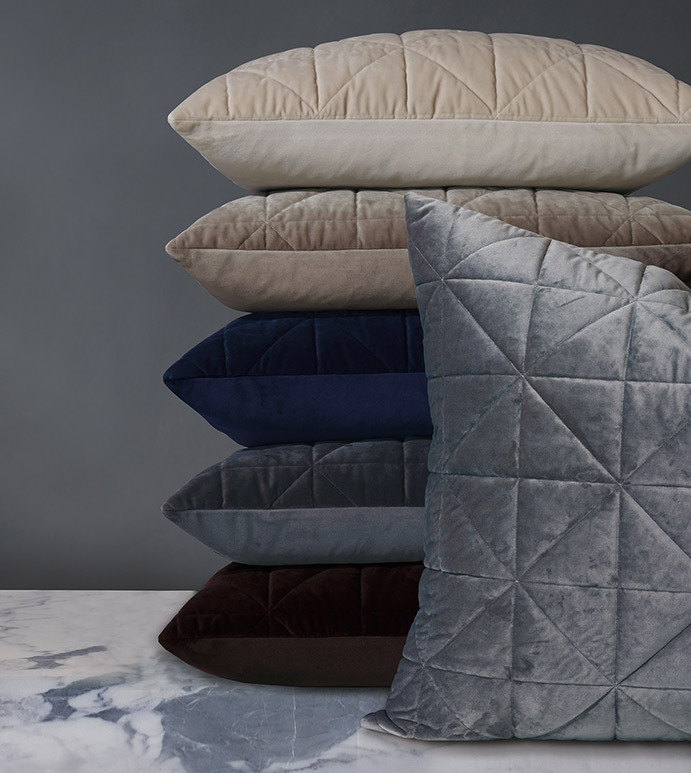 Silky smooth velvet, quilted in a chic geometric design, makes these shams and coverlets irresistibly cozy. Nova’ s six colorways - from jewel-toned indigo to neutral cream - alternate between cool matte and glamorous sheen depending on pile direction. 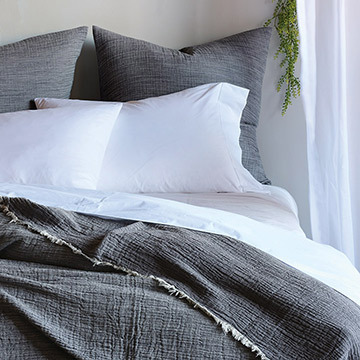 Shams are backed in unquilted velvet while coverlets are backed in color-matched percale for added comfort, and all products are 100% machine washable for everyday ease of care.